To accelerate new discoveries and get products to market as quickly as possible, R&D and manufacturing labs have to reconfigure and change on the fly. Data management can’t be a bottleneck. 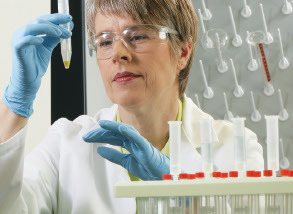 Developed in partnership with customers in fast-paced R&D environments, the Thermo Scientific™ Nautilus LIMS™ for Dynamic Discovery and R&D Environments is a highly flexible, easily configurable system that increases workflow efficiency, throughput and data reliability while simplifying administration, sample traceability and regulatory compliance.